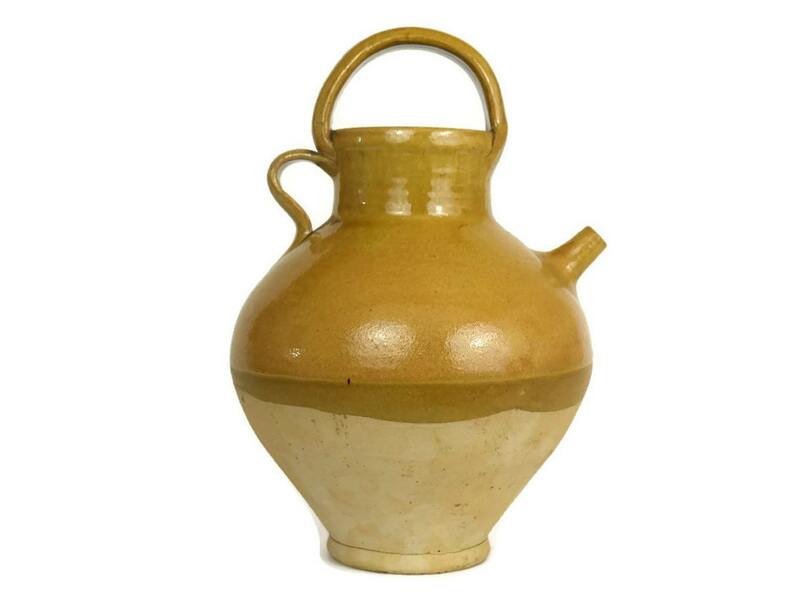 A traditional glazed ceramic wine jug from the south of France. 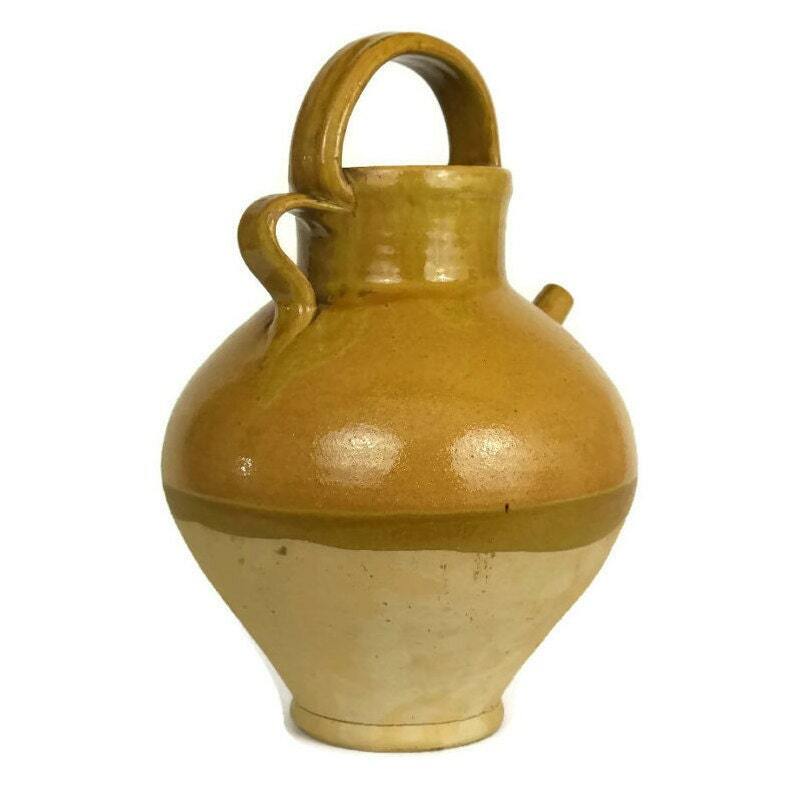 The hand made pitcher features a classic silhouette and has been half glazed in a rich shade of ocher. 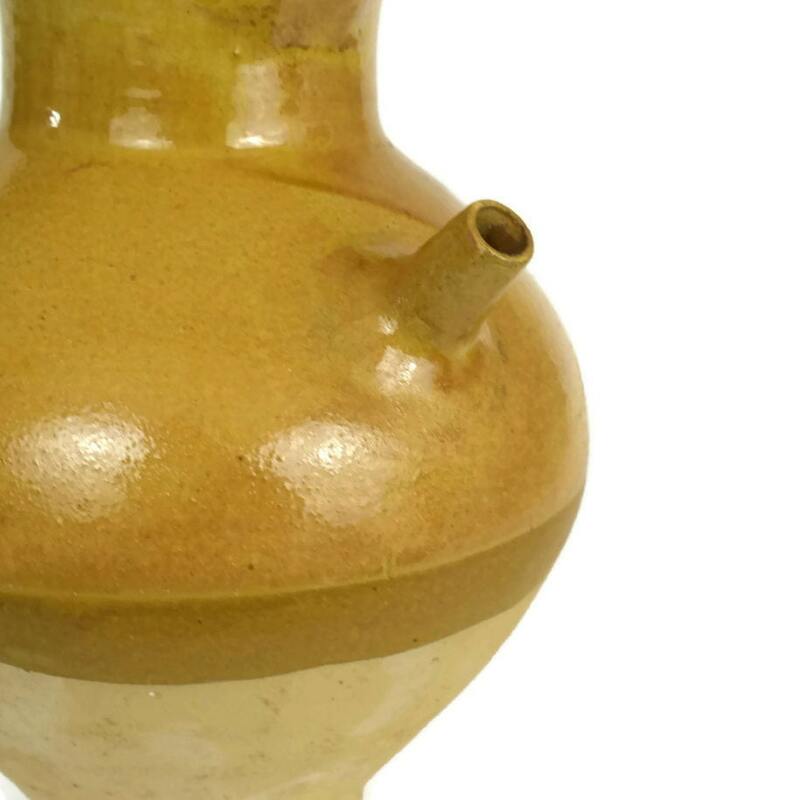 The pitcher features two handles for ease of pouring and has a long spout. 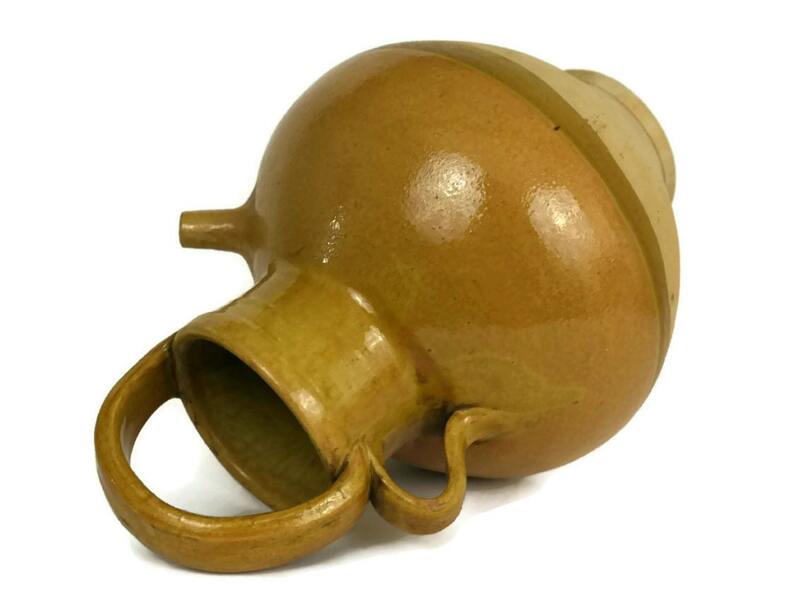 Item: French Stoneware Wine Jug. 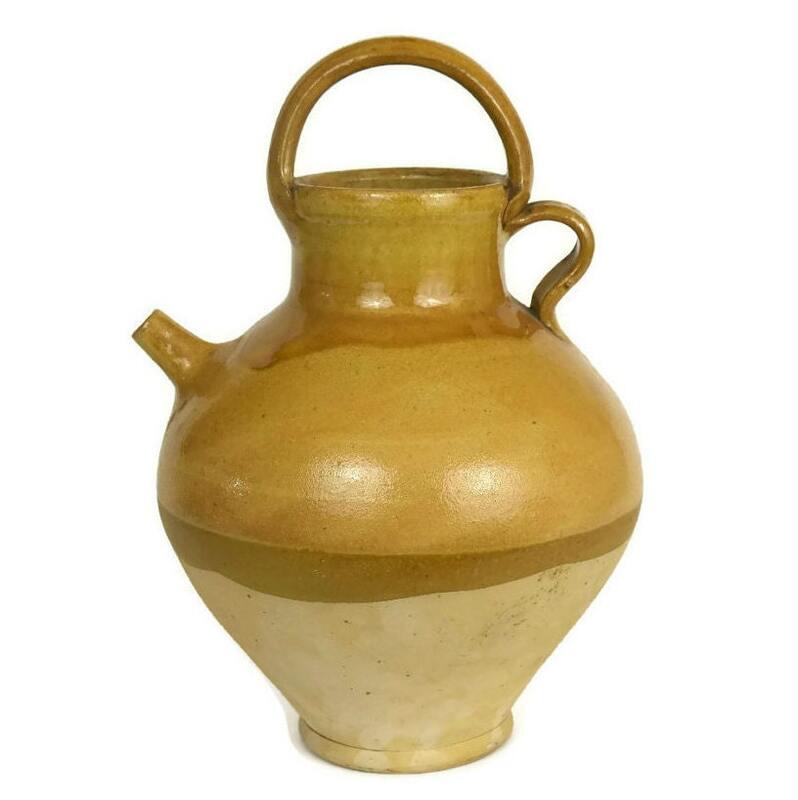 Half Glazed Ocher Ceramic Urn. French Provencal Decor.